My Lady has been doing what she calls redecorating lately. I’m not talkin’ ’bout the full out ‘knockin’ out walls or redoing the furniture’. She loves to change things up by adding new pops of color and fun intriguing items. She says it’s amazing how much little pops of color can change the looks and feel of a room. I’m just a dog and don’t know much ’bout this thing called decoratin’, but I’m all for whatever my Lady wants to do. She loves us pups – well, all pups for that matter. So, when she needed a new print for our living/dinin’ area, she found the perfect canvas print, with dogs of course, at Photowall! My, oh, my! It’s got pups all over it! She says it’s called a Dogs World Map. I don’t know much about what a map is either. 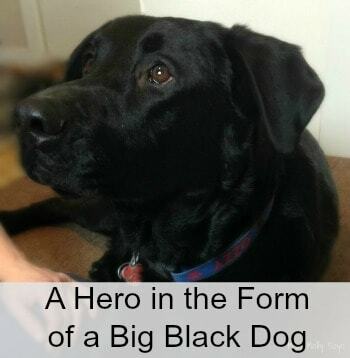 Who needs a map – just follow your nose WOOF! I better fetch my Lady to tell ya ’bout this decoratin’ and our new canvas print from Photowall! Miss Molly is correct in saying I love changing things up with pops of color, intriguing items, and new wall prints. It is amazing how much you can change the look and feel of a room with just these things! 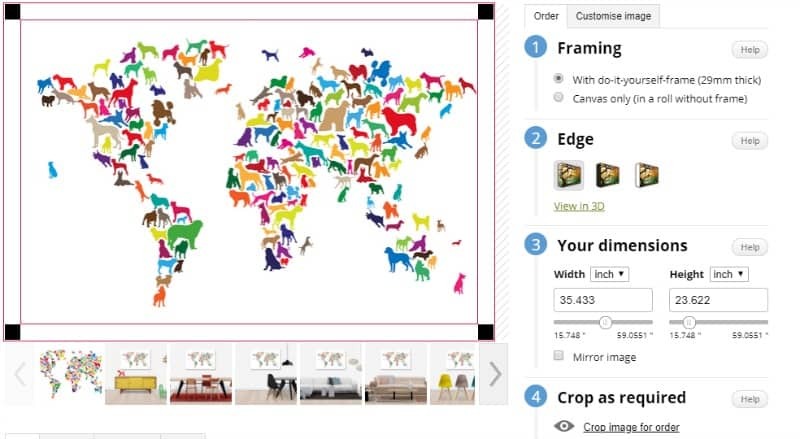 That is why I was super excited to find this ‘Dogs World Map‘ canvas print at Photowall. Photowall produces made-to-measure wall murals and canvas prints. I love all their abundant array of wall decor! However, I was searching for a canvas with lots of colors in it to help tie my room decor together. With my choices of going bright and colorful with throw pillows, etc., I need something that would help bring it together. 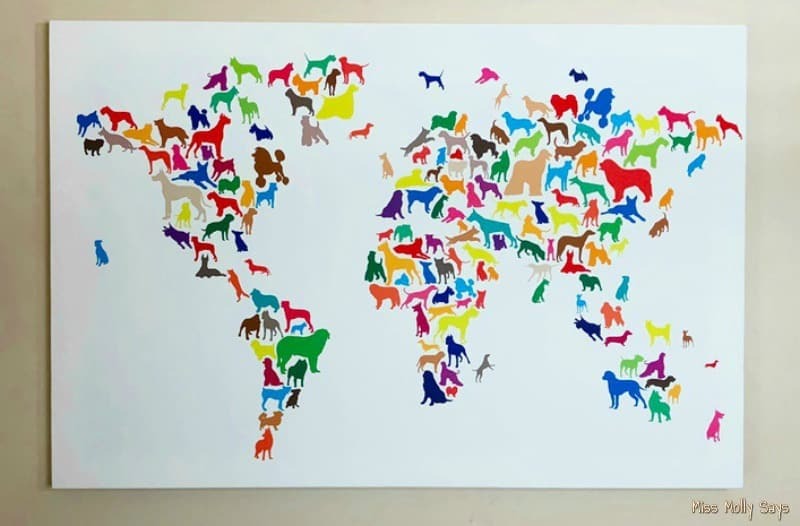 When I saw the Dogs World Map, and with my love of dogs, I knew it was the perfect print for me! And, you have to admit it is a great conversation piece! Photowall offers a multitude of prints for canvas prints and wall murals! However, it is easy to search through them and find exactly what you are looking for. You can search by categories, designers, rooms, colors, or you can even use your own image! Choose from their many prints or upload your own print. Choose Framing or canvas only. 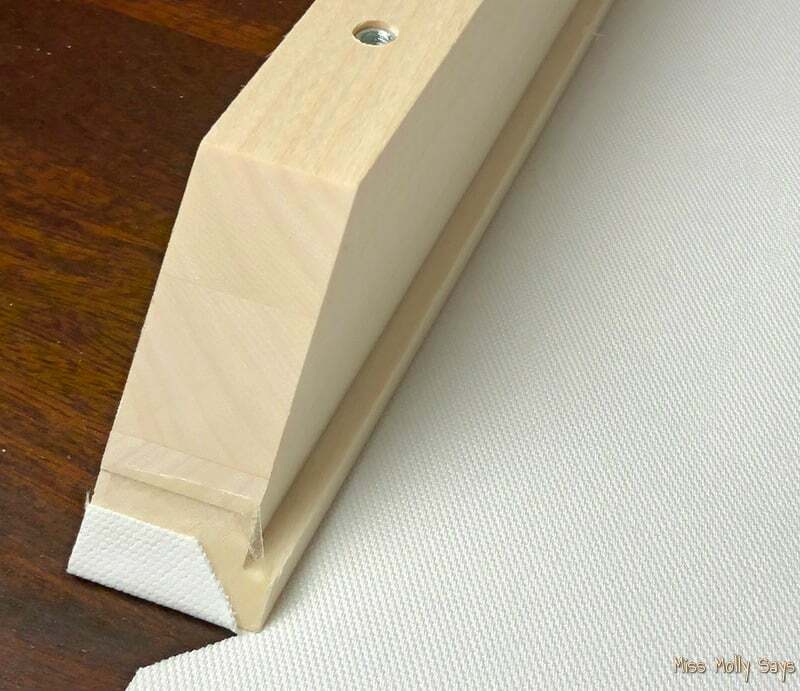 If choosing framing, choose the type of edge you would like (image, black, or white). Choose your dimensions. You will also have an option to crop if needed. You are all done! So, head to checkout – easy-peasy! When your order arrives (and it ships VERY quickly), it has everything you need. It comes different than you would expect though. 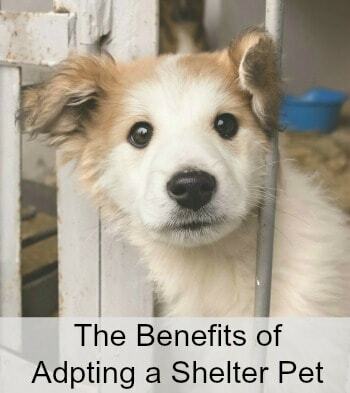 It arrives in a roll packaged securely in a long box to help keep it protected. Since I ordered the framing kit (a quick 10-minute process), it was also included. 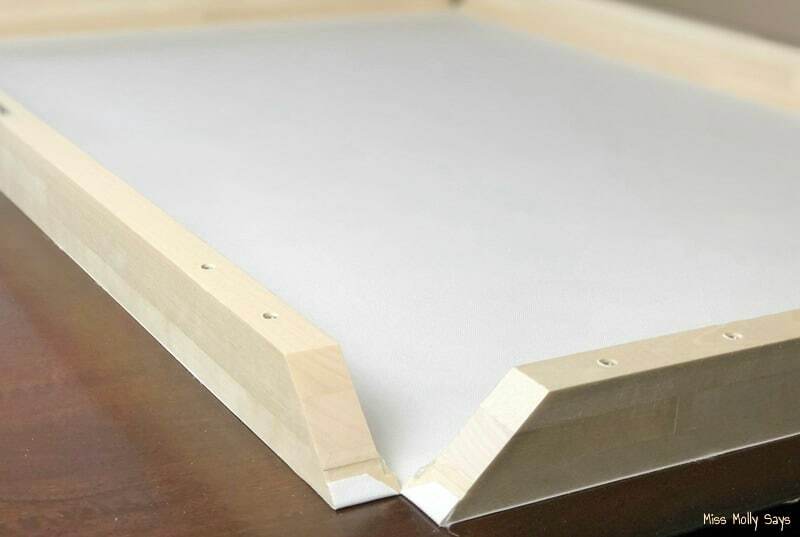 Place the canvas cloth on a clean, flat surface with the print facing down. 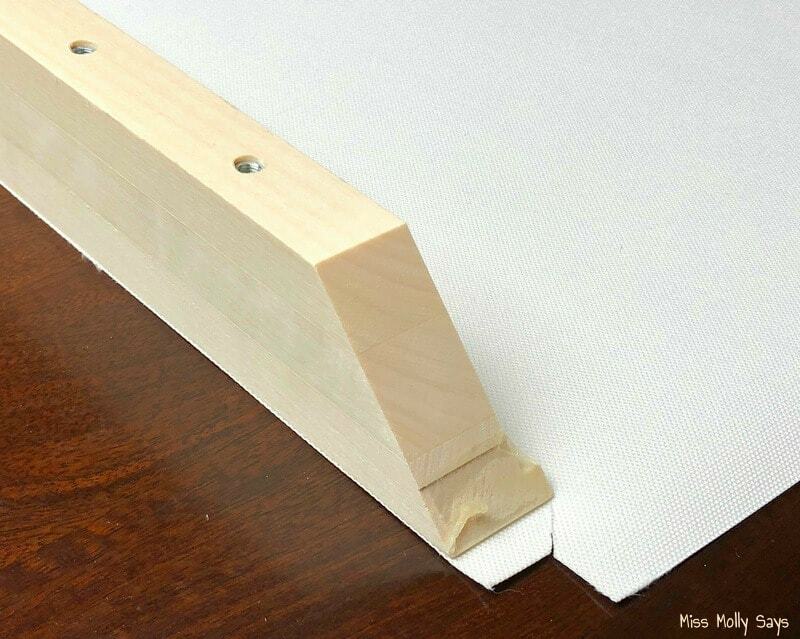 Remove the protective paper from the tape on one of the frame sections. Place the frame section along one edge of the cloth, centered between the corners of the cloth with the grooved side facing inward. Smooth the cloth along the edge to firmly attach the cloth to the tape. Fold the corners of the cloth up towards the top on both ends of the frame section. Repeat for each frame section until all four are complete. Fold the frame sections in towards one another. 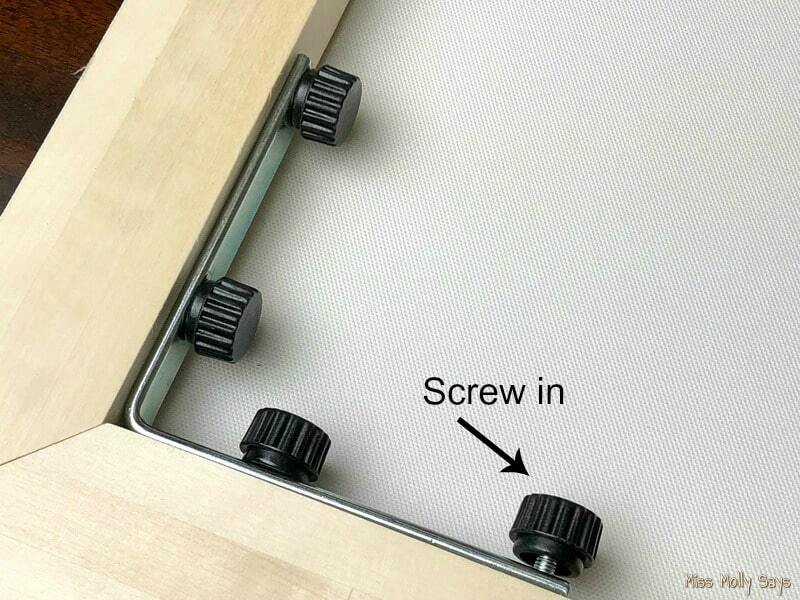 Place the corner plates in the corner and fasten down with the screws. Continuing placing all the corner plates and screws in. 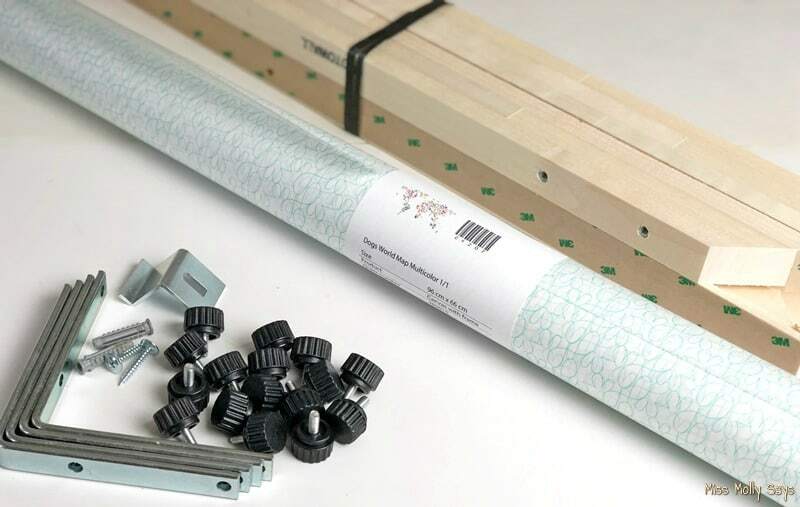 This will stabilize the frame and tension the cloth. That’s all there is to it! 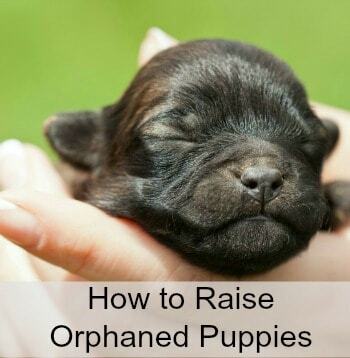 It is simple and easy! Oh, I almost forgot! It also comes with its own hanger which is as simple as placing the screw in. Then, you are ready to hang it on your wall to enjoy! Want to see the setup being done? Watch this quick video! 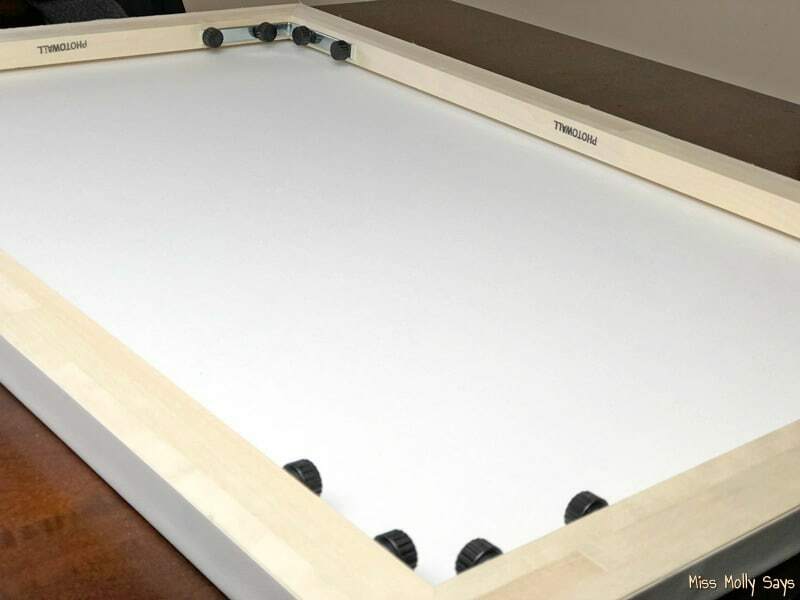 Canvas prints can be ordered with or without the DIY frame. It’s your choice. As I mentioned earlier, shipping is extremely quick and you also get FREE delivery! You can’t beat that! 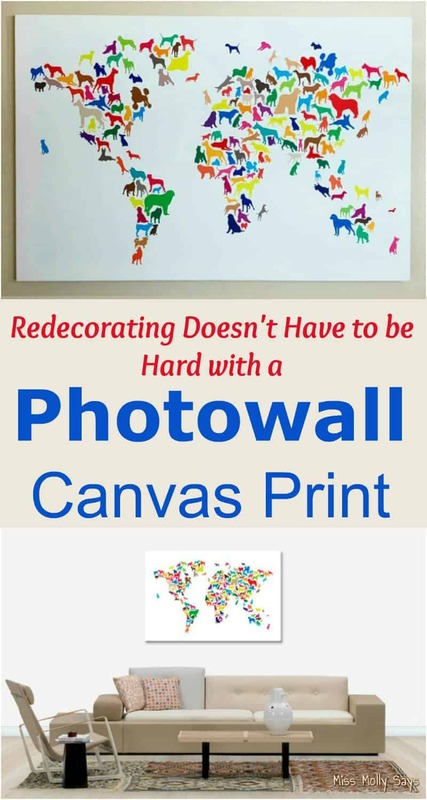 When redecorating or just longing for a specific print, Photowall is the place to shop! With their abundant array of prints, the possibilities are endless! Whether you are longing for bright colors, muted tones, a special art print or animal – they have hundreds of prints to choose from. And, of course, if you have a favorite snapshot you would love to have on canvas you can do that too! It’s never been easier! Photowall has both canvas prints and wall murals! It opens up a whole new way of redecorating your space. Be sure and visit Photowall to see the many selections of both canvas prints and wall murals. And, don’t forget, you can have your favorite picture turned into an elegant canvas or a super fun wall mural too! This looks awesome! I was a bit intimidated about having to assemble myself, but you made it look so easy. The picture is beautiful. I will need to check out Photowall for some prints for my daughters room. Interesting way to create an accent wall. I am not sure I could do this myself! What a good way to add some color and interest to a room. The Dogs World Map is so cool. I have just the place for it! 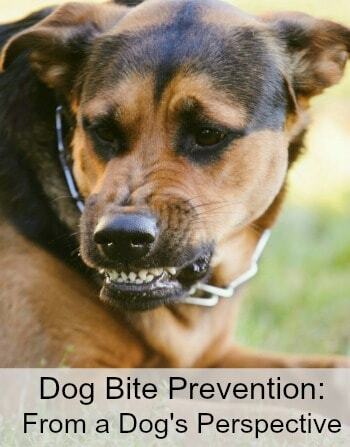 What a great Idea Amazing!!! SO nice. Great gift idea for my friend who just bought his first HOME! Love the bright dogs! And the frame is really well put together. What a great idea. It looks like you can do a lot of customizing which is great. That looks like a fun and easy way to update a room. This would normally be a very difficult thing to do but it looks so easy with your instructions and really good pictures. Thanks. Nice way to refresh the decor! What a creative and colorful map! Too cute. That’s a beautiful canvas! 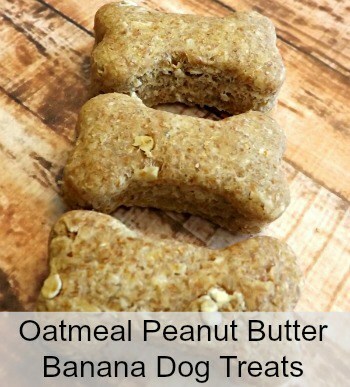 I definitely want to try it! Poor Hawaii, all by itself Needs another small dog (island nation) to play with! But yes, this is really beautiful!! This is really cool and it looks really easy to put together! I love it! I would love one of those, so neat! Love to win – haven’t watched it yet. 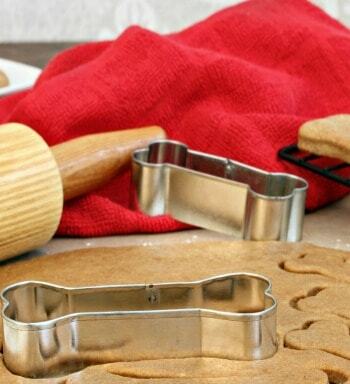 This would make a great gift for the person who has everything. I will be searching their prints for some ideas. 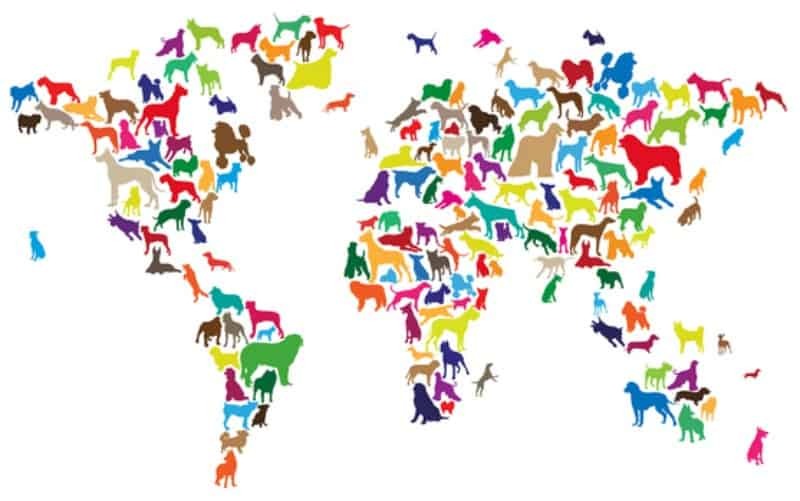 I love the Dogs World Map. Photowall has lots of interesting products for great redecorating ideas. My daughter had senior pictures done and this would be perfect for that! I just love the look of canvas! I’m checking out Photowall for my next canvas! Wow, what a great “map”. So creative. Thanks for sharing!